Everyone should have a personal background on Twitter. Whether you have a picture you like or a beautiful landscape, there must be something you have added. In order to design the background, you will need at least Photoshop knowledge. I have two applications that I can recommend to you if you think I mean Photoshop. With this completely free application you can choose the background image, you can give links to your accounts in other social media sites, you can type your background. You can even add them in various ways. It is a system that you can add a lot of social media sites and special links that you can choose from the private themes mostly used by the corporate companies. Some of them are free. 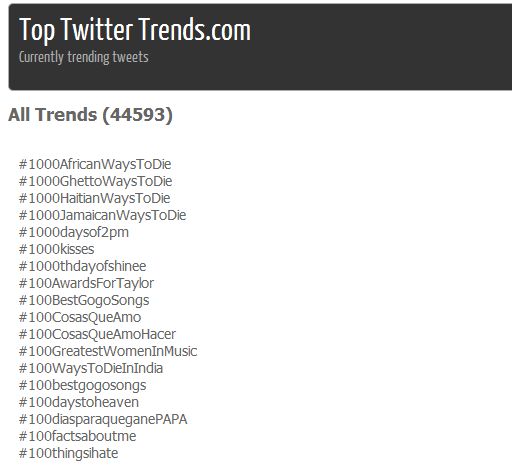 TwitterTT (Top Trends) One of the most interesting features of Twitter. But there are a lot of deficiencies. For example, the list of countries is very few. The Top Trends section on the Twitter page is absolutely inadequate and quite simple to fully understand what "the world is talking about". In the globalizing world .. we have heard the sentences that have started many times. We feel most of this globalization here. For example, you are wondering what you are talking about in Ghana. It is very difficult to find it on Twitter. Of course, our assistant is running additional applications here. When we come to Ghana on the world map, we can see what is being spoken in Ghana one by one. If we click on the hashtags, we can read the tweets. As I wrote this article in South Africa, the Turkish word cautioned me. I've been looking. Cold Turkey They were discussing the song of John Lennon. Just then, Ahmet Davutoglu, was published comments related to the topic turned to Iran and Syria, and Turkey's foreign affairs. Think you are debating Turkey in South Africa. I guess this is globalization. "What is the world talking about?" Trendsmap answer. We would not want to know what is going on in the near future besides the Globalization. For example, what do people in our neighborhood talk on Twitter? Here we are running another application. Depending on the distance you set, all tweets around the location you see appear on your screen. Do not worry, you still can write bad things about your next door twitter, but it's still very difficult to find you, but it's a great way to keep track of people in your circle. For example, you see those who are talking at Atatürk Airport. This application can be quite useful when used wisely. I do not speak English, but I want to find these people on Twitter, I have a native practice running your help. Again with the same logic you can find people near you with Tweetzu. The beta version is still one of the applications that should be used even though there are occasional problems. Every day on Twitter millions of people tweeting millions. Millions of people are following each other. There are tons of graphics that can be used for different types of people. Now I will introduce you to the 3 most used and most useful sites. You are wondering what the world is talking about. With Twitter Search, however, you can go to this curiosity. I get examples of what he talked about Syria, Iran and Turkey, I did research. You can also search for milk, chocolate and sugar. Whether you are searching for tweets by making 2 or 3-word calls, this service. The words in Syria in the reds. When you click on the red region, you can see the tweets that are mixed in Syria in the lower part. 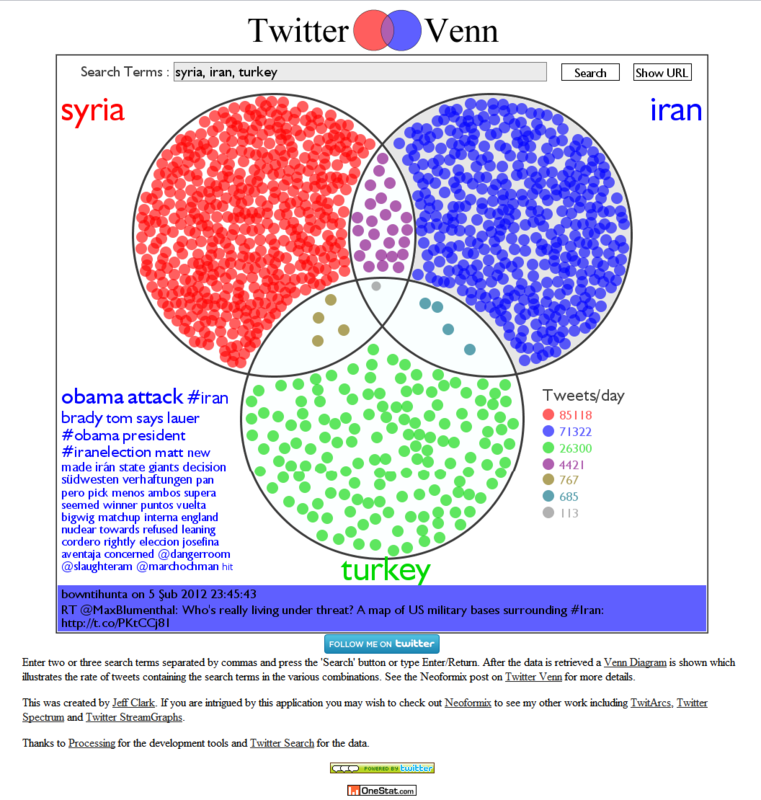 If you click on the purple segment, both the Iranian and Syrian tweets appear. The only problem is that he does not recognize letters like ü-ö-ğ. This mixed color graphic you see below seems to hear what you mean to me. This chart is a graph of my last tweets with my twitter users. In intense areas, the conversation took quite a while. 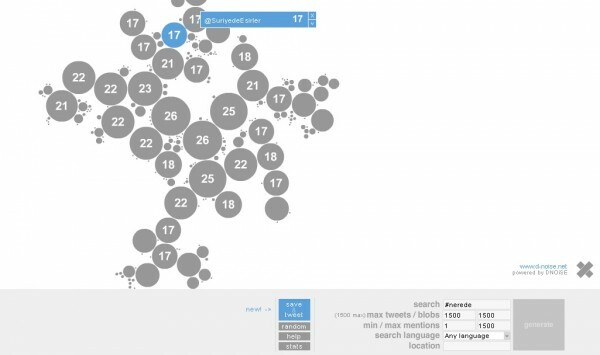 You can use this site to find out how much you are talking to and what you are talking about. You can view each account, not just your own account. 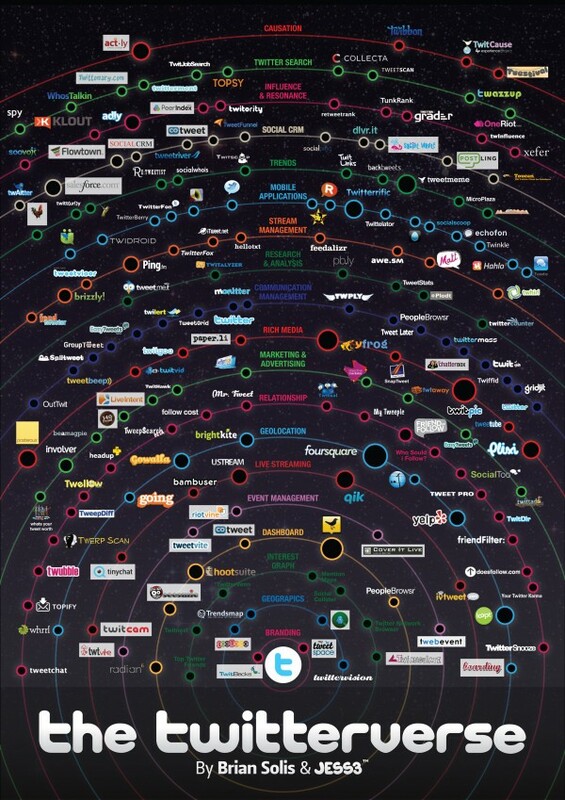 You can also see tweets on this chart. You can also search for a single word outside of your minds. On Twitter, who used the word how many times it was used. Or you can get any Trendin charts. It is possible to define "Who is following who?" 3 kututa 3 You enter the name of your Twitter account and the application uses the same words that you follow in common with your friends (mutual followers) etc. it can give you countless graphics and data. I studied the common followers of three writers of SocialSocial in order to be an example. There is a long list for each intersection separately. From this list you can follow the ones that are common, you can go to the profiles, you can see profile information. You can even create Twitter Lists from these people. You also have the option to export the names if you want to save them in a different source. At the same time you can also show on the map. There are a lot of arrows going out to people from people. Although it is difficult to understand when it is very crowded, this is also a good method. To run these applications, you need to have Java installed on your system. What we call Social Media is a big family now. There are many applications to control all of these sites from one place to the next, updating all of them at once. I will introduce a few applications that give special attention to Twitter. How big is the Social Media Family, we only introduce a small segment this post You can review. You can update your Twitter, Facebook, Linkedin, Chatter and Ping.fm accounts with this software which can be used with iPhone, Android, Windows Phone, Web and Desktop applications. From the same window you can see both your Facebook stream and your Twitter stream. You can intervene at the same time. You can even update your Facebook Pages here and view your stream. Thanks to Ping.fm you can update your status in about 60 different social media sites. It's great to be able to do it all from the same platform. It's a paid software that belongs to Salesforce. It is a highly professional application that we strongly recommend using by corporate companies. Monthly fees ranging from $ 600 to $ 10,000 with this software you can see in social media what you are talking about and who is talking about your company with special reports. It is the most prestigious application of SalesForce that we recognize with enterprise applications. A web application that allows you to control 5 different social media sites at the same time for free. Special apps for Blackberry, Android and iPhone are also available. With Hootsuite, you can choose 5 sites you like from dozens of different social media sites and control them all from a single point. 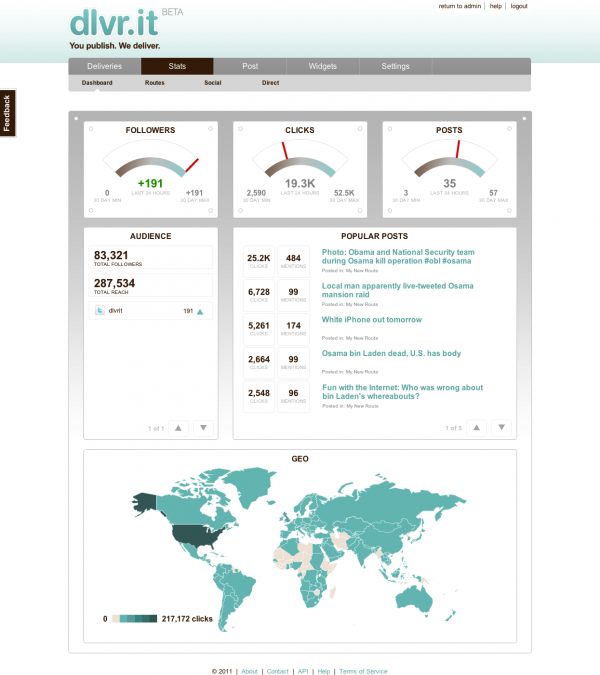 If you pay $ 6 per month, Hootsuite gives you detailed charts and statistics. 5 different site limits are also getting up. Still, I do not recommend it to individual users. However, if you have a small company, if you want to use social media effectively, you should definitely use Hootsuite. 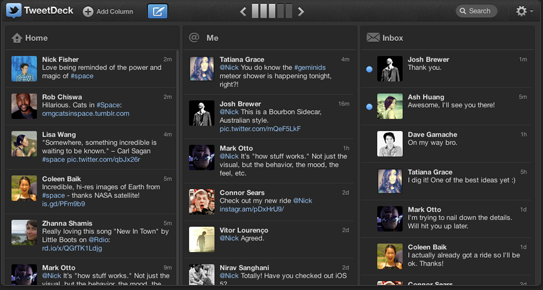 TweetDeck is the most used panel application in the world. It is completely free and has a pretty nice interface. You can control the number of different Twitter and Facebook updates from the same panel. 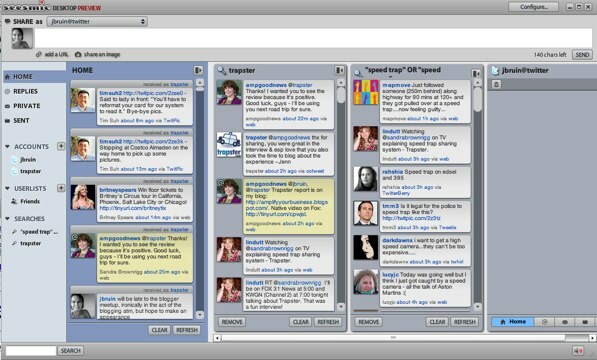 Tweetdeck was so popular that it was finally bought by Twitter for $ 40 million. However, a few days ago, Twitter changed the TweetDeck application a bit, and we can say that TweetDeck has terminated many features and is a bit dodgy. However, it is still an application I recommend for every twitter user to use. About TweetDeck Twitter Official PageYou can also learn from. The location of the Facebook Events application is undeniable. Every event organizer comes to mind first. 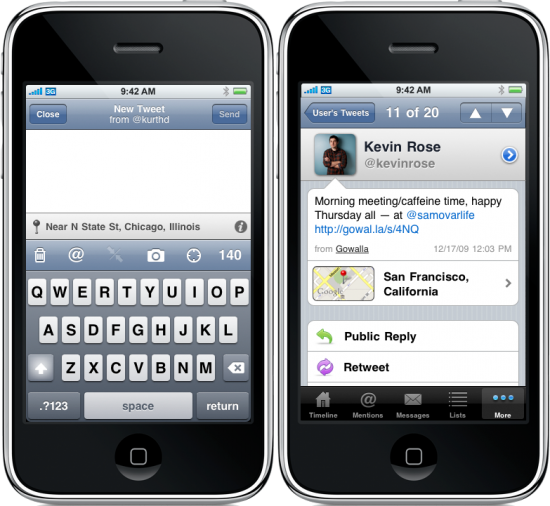 But there are various applications for those who want to announce their voice on Twitter. With a simple and simple design, Twtvite, you can hear your activities and learn about events. You can also transfer events from your e-mail addresses. 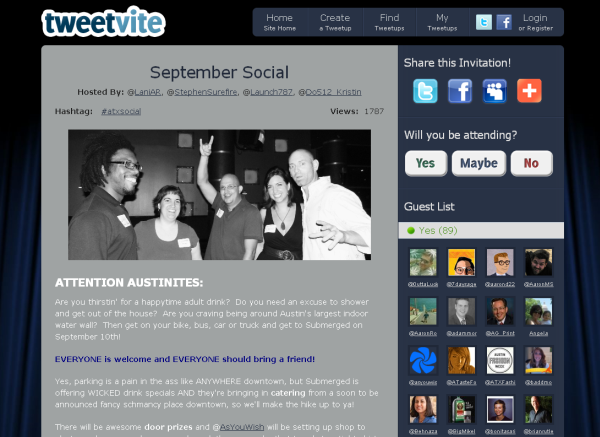 Tweetvite is an application that shows the activities you will organize via Twitter and helps you to announce your activity. You can also search for events posted on Twitter via TweetVite. You are organizing an event, but do not you want to reach more people with this event? With CovertLive you can publish your live events to your site with the Live Blog feature. They even publish Jury elections of the American Parliament through CovertLive. 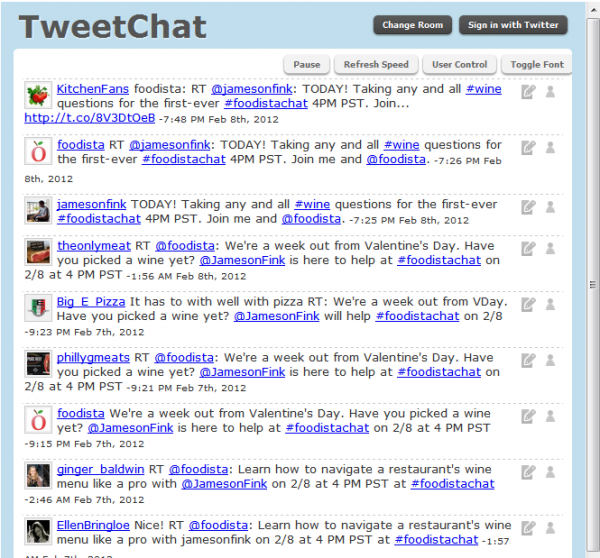 It is a great application for corporate companies to share their events with Twitter and Facebook more easily. At the same time, you can easily share videos on your live broadcast. You can also reply to users' messages from the same place. Using the same hashtag, you can share updates about your event via Twitter, and you can view tweets that have been hijacked on your site. You can also follow up on the event you have organized via this panel which will take part in the activity. Twitter is your platform to tell yourself, your thoughts, what you do with 140 characters. But not everyone is good at writing. If you think that you will express yourself better by talking about what you can not express yourself in 140 characters, you should try these applications. If you say that summer is summer on Twitter, open your web cam. 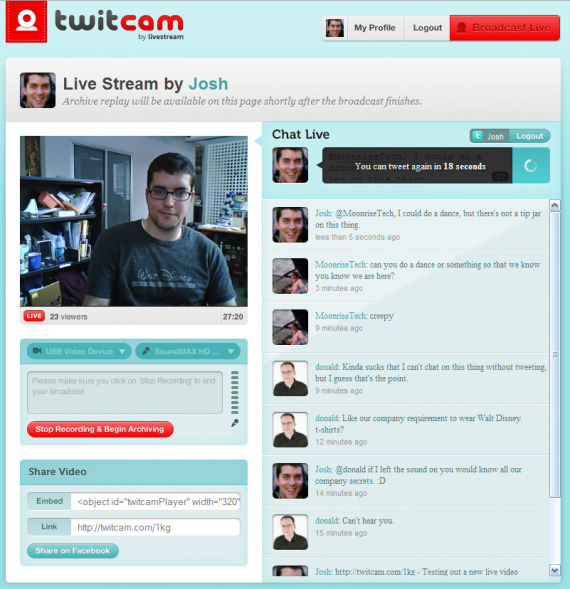 Login to Twitcam with your Twitter account and talk to your cameraman. Do not bother trying to tell in 140 characters. Publish on Twitter account with instant video. In this way, you are making a little press statement. We recall mIRC. There they talked and talked to Msn, sent invitations to iCQ. Now there are video chat rooms. 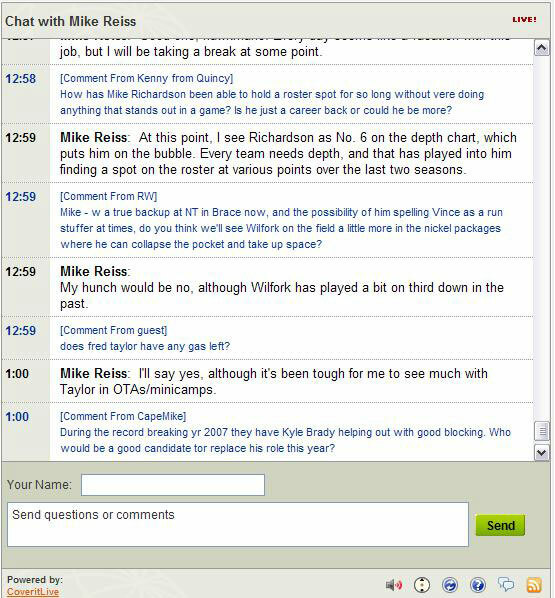 There are not many inappropriate conversations like mIRC or +18 content. In this way you can improve your foreign language. However, our main promotion is to give you a private room on this site. In this room, you can talk to your friends as much as you like from Facebook. 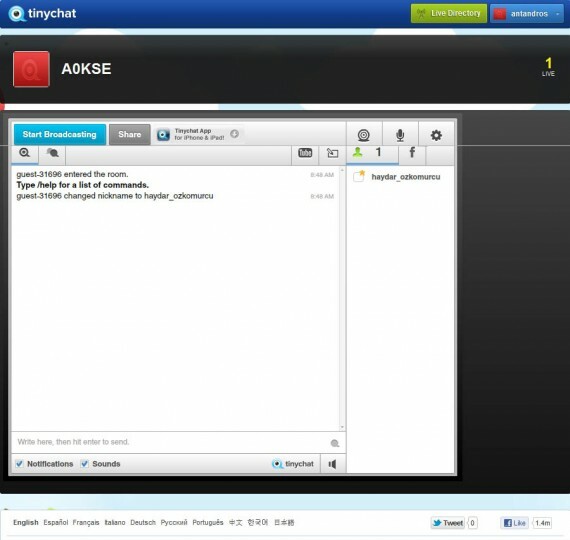 At the same time you can also participate in the chat room via Twitter by sharing the link on Twitter. Organizations can also conduct mini-meetings here. With the development of the Internet, every user can now broadcast television. Think about organizing an event. You can broadcast this event from the beginning to the end of Ustream. Moreover, your publication can be viewed later. 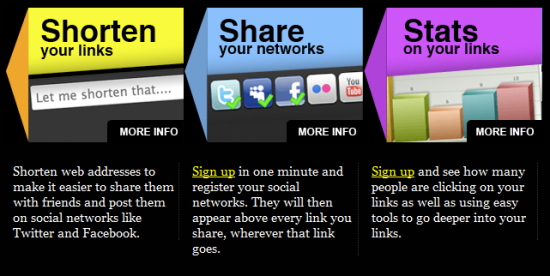 All you have to do is log in and share your link on Twitter or Facebook. Moreover, you can also broadcast via iPhone. Do not think of it as a simple site. NASA and Mubasher are also broadcasting here. For example, many actions in Syria are broadcast live here. Twitter has become one of the most influential sites for getting news and spreading the news. Think there's a fight in your street. You gave the police notice, but you want to write the details on Twitter. Are you going to watch the fight or will you click? You are the best Open your phone Enter Qik to watch your video Followers on Twitter at the same time. At the same time, Qik also provides you with a special broadcast, a special post that you can watch only by the people you want. Moreover, these broadcasts can be watched after shooting. As social media grows, it emerges with different needs, and one of these is placements. With Facebook and Twitter opening their own notification services, interest in other sites began to diminish over time, but these sites do not lag behind in the race by adding different features. 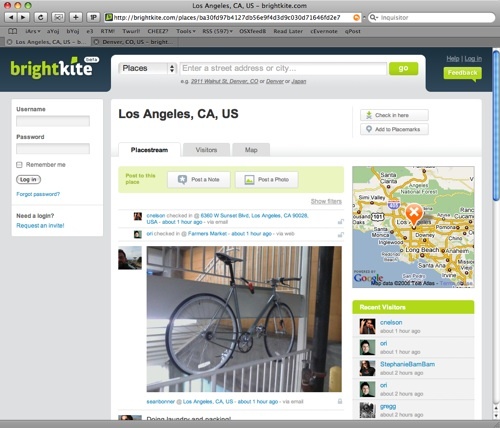 BrightKite is the site that brings Social Media first place notification. Thanks to BrightKite you can add bookmarks to your photos on Flickr as well as integrate with Twitter and Facebook. It is also supported by iPhone, Android and Symbian. The BrightKite service is currently closed but will soon be back with several innovations. The most used 3rd-party notification service is Gowalla. 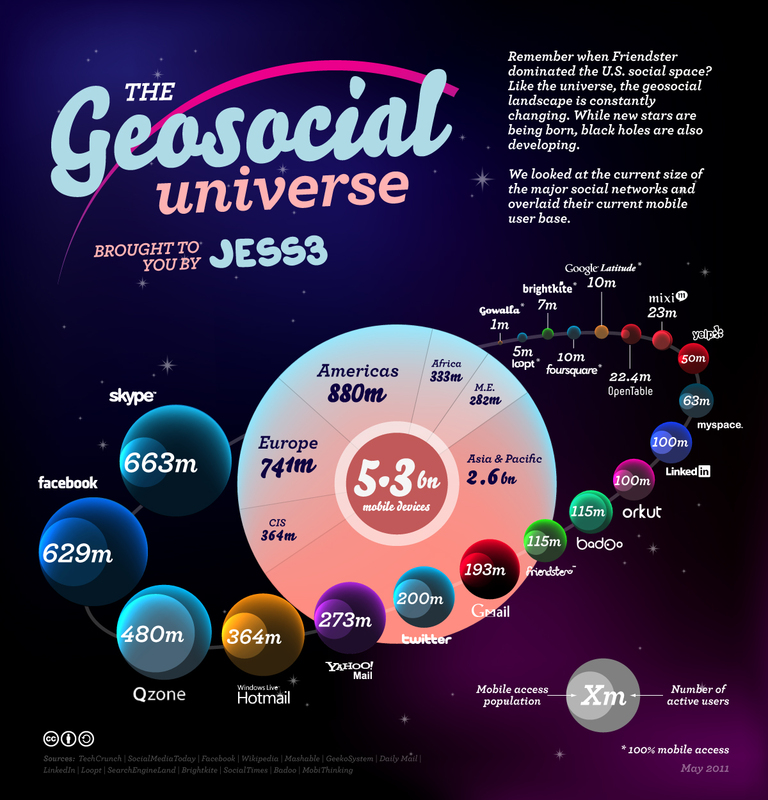 What distinguishes Gowalla from other landmark sites is that it allows you to explore the world. You checked in at a café you went to, but if you think what it is for you, you need to have a meeting with Gowalla. Write a blog that tells you if you want to check in every country, café, historical place you go to. You should definitely take a look at this site before you go on a trip. There are thousands of people who tell you what you have to go to, where you should be seen, and how to tell them one by one. I guess you do not know Foursquare, the most used bookmark site. The most intriguing feature of this site integrated with Facebook and Twitter is definitely badges. It is a site that gives you various badges as you navigate and check in. Used mostly in the US, Yelp is the closest hospital, cafe, pharmacy or whatever you are looking for. The only pity is not yet include Turkey. For this reason I will not go into much detail but if you fall into North America or West-Central Europe, you will definitely benefit from this site. Software for those who travel frequently and do not want to be alone at airports. Totally mobile application. Membership etc. also. 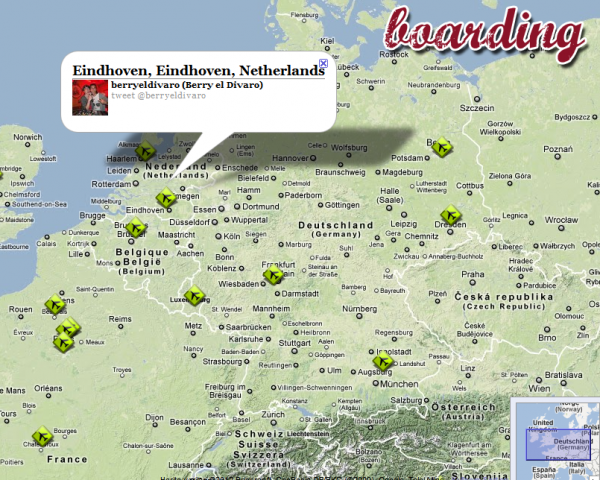 You just tweet #Boarding IST on Twitter. At any airport you can write its code instead of IST. You will immediately receive a mention and display it on the main page. If there is someone else waiting at the same airport, you can find it. With Loopt working in tandem with Groupon, you check in at places you go. You can share short articles about the place you went to. Loopt, which has Android and iPhone applications, is a good alternative for those who do not like Foursquare. If you follow hundreds of people on Twitter and are watched by hundreds of people, it will be very difficult to keep track of your listings. Are all of your followers still using Twitter or are they for nothing? Your follow-up counts are rising, or who are following you than who you follow? If you are asking questions I would suggest you take a look at the following applications. Most of us use email notifications from Twitter. Every time you get an email, you have to enter Twitter / DM. 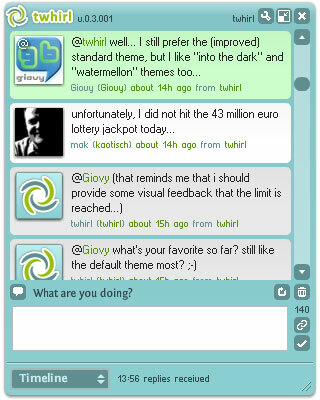 However, thanks to Tweetymail you can access the features like mention, dm and tweet from within your email address. Instead of turning Twitter on and off again, you can do all of your work from inside your inbox. This application is especially for businesses that are forbidden to enter Twitter. If you follow hundreds of people on Twitter and are followed by hundreds of people, you will feel the need to edit your followers lists. Who are following you, who are you following are long and difficult to review via Twitter. For this, Twerp Scan lists your followers and what you follow. Following / followers on the list include the number of followers, the number of followers, the follower / following rate, the date the last tweet was posted, the total number of tweets, and so on. you can see the information from one window. 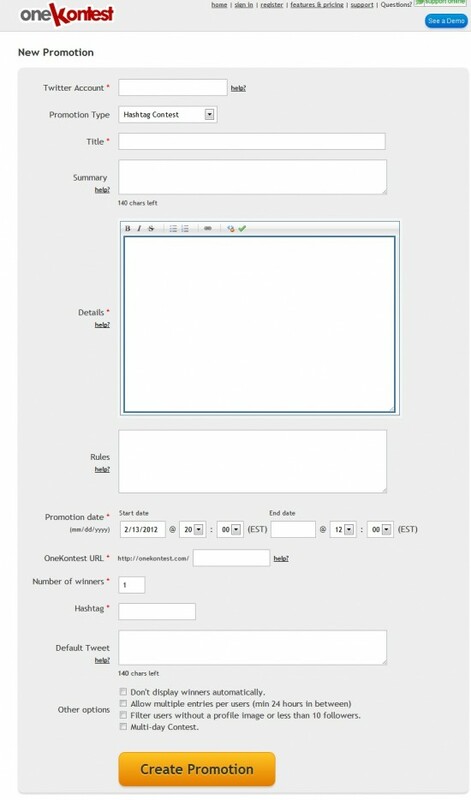 100 different users on a single page. You can follow people through this window and you can follow them. 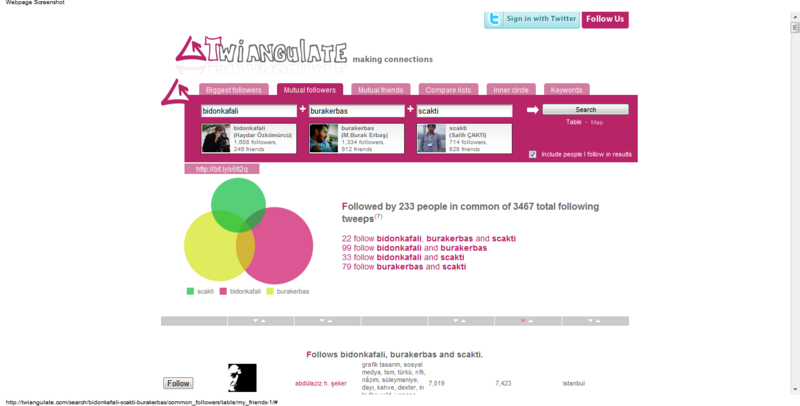 It also offers you the RT, Mention, Tweet statistics of another user you choose. If you do not like the interface of this application, there is an alternative application the Tweep. The common friends feature on Facebook is pretty simple and useful to all of you, but there is nothing similar on Twitter. 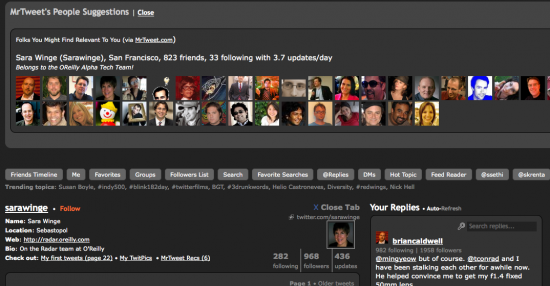 With TweepDiff you can easily remove the list of followers and follow up of more than 2 users you select on Twitter. Who should follow? This is actually the most crucial question for Twitter. Because if you can not find nice people to follow, Twitter does not mean anything. Twellow is helping you with this. Every user who enters the system categorizes himself or herself, and then you choose who you can follow by various categories. There is a similar system in Twitter, but it is mostly in the forefront. Normally you should try Twellow for users like us. The most famous followCost for applications that calculate the value of your Twitter account. 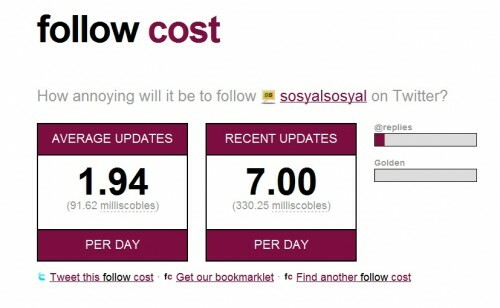 Your Twitter account or any other user you choose milliscobl to value. If you think the user you see is worth pursuing, you can use this application. Personally, I have defined my own account as "Nuclear Follow Cost." If this is the case, write a comment below and let me follow you. Twitual is an application which keeps track of who you follow, who follows you, who follow you, who do not follow you, and who follow you and follow you. Lists are alphabetical and you can go directly to that person's twitter page when you click on a name. It's a handy application to keep your list under control. With DoFollow, a fairly simple application, you can find out if someone is following a person. All you have to do is write your nicknames. It is now possible to earn money by tweeting. I'm sure some of those who see this work will prepare different applications to defraud people, but there are not many such applications yet. At the same time, there are hundreds of corporate accounts on Twitter. It is possible to get ahead of competitors by using Twitter effectively. I'll share a few things to create effective campaigns on Twitter. Your Twitter account is a real money app. One of the monetization sites on Twitter. Twittadand is trying to direct you to make money there. The fee for your account can be quite low. One of the most popular ways to earn money on Twitter. You register on the site and set a price per tweet. Advertisers will email you if they see fit and you will be able to tweet with the text #sponsored or #spon hashtag in the mail. Your money lies in your account. I really thought that advertisers really care how much they care about it. 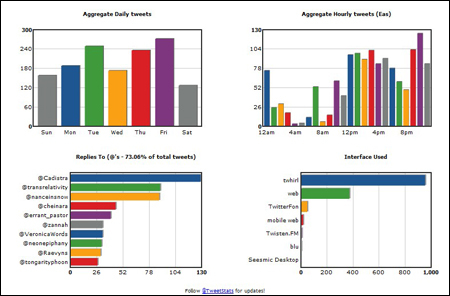 When you type #sponsored into Twitter's search section, you see about 20 tweets per hour. List of celebrities using this service there's You can reach. One of the most famous marketing tools that works as integrated with Facebook is involver. It offers applications that you can combine with your corporate Facebook Page with your corporate Twitter, Flickr, Youtube, RSS, Scribd and similar accounts. Using Facebook Pages is an application involver that should be reviewed by anyone who manages it. 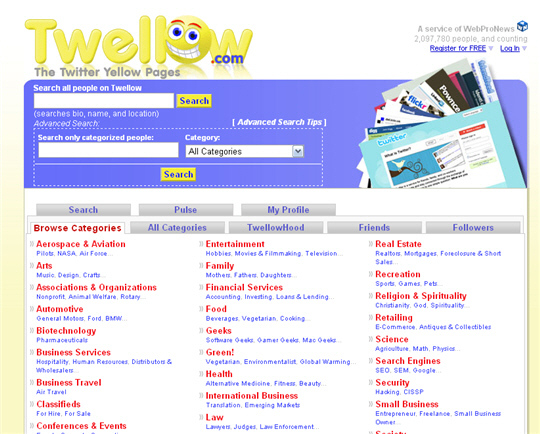 You should definitely use TwitHawk, a business that has a small and local area as its destination. TwitHawk finds tweets in your selected words and sends them to you. If you tweet that you want to drink tea, you should think that you take a tweet so that you will not drink tea with us two blocks away from the cafe. If you want more people to follow you on Twitter, you will benefit from organizing campaigns and distributing gifts. But how will you manage these campaigns? What are you going to do if you are going to do the lottery? With OneKontest you can organize 3 campaigns. You can make a lot of choices between those who ask a question and know the correct answer. You can choose between a hashtag followed by you and a tweet with the selected hashtag. Finally, any user who only uses the hashtag you choose can win a prize with the lottery. Because you can not determine the winner, you are both winning credibility and being a fair competition. As time went on, we shared more photos and videos. How do we best share these photographs, videos, articles in your favor? Here, systems that we can call "rich content sharing management" come into play. With the introduction of 3G in our lives, social media began to change. Enter video to share on Twitter to share with long processes, content fit, etc. Twitvid may be a good choice for you if you do not want to go through audits. With Twitvid, which is also an iPhone, Blackberry and Android support, you can quickly share your videos on Twitter and Facebook, and watch videos shared by your friends on Twitter and Facebook. Personally, I have always been careful to be a journalist. However, there is a service that makes this job easier for us. The Paper.l. Twitter compiles the tweets you follow on Twitter and makes them into a daily newspaper. A newspaper with photos and videos. You can choose specific topics for your journal, as well as tweets from people on a particular twitter list. It is possible to broadcast daily or weekly. 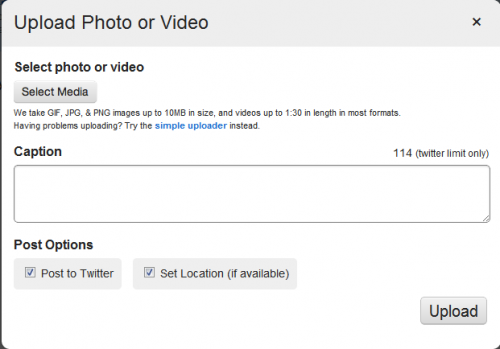 There are also a number of photo uploading systems specially designed for Twitter. Twitter now allows photo upload via PhotoBucket, but this feature is not available on Android, Blackberry, non-iPhone phones. I will introduce the prominent ones from these sites. A handy site for those who want to upload practical and single-purpose photos. It is a simple application although it does not offer many different features. 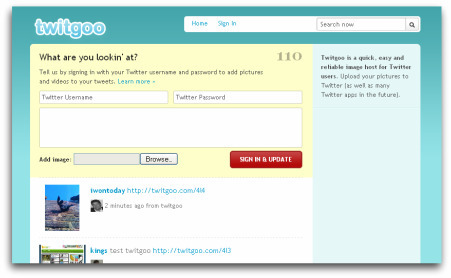 Yfrog and Twitpic are basically the same exactly. You share your photos or videos, and you can see what you have shared in the past. There is a Feed on TwitPic where you can see all the uploaded photos while you can see your timeline on Twitter at Yfrog. It can look pretty simple as a Twitter interface and in use. But it's not that simple. Thousands of mention, DM and Twitter come and go. You need to use additional systems to use Twitter more efficiently. With groups on Facebook, you can manage your organization, your internal communication and your activities with your organization. So what if you want to do something similar on Twitter? You log into Grouptweet with your account and promote your group. Then you can either post messages with mention or DM. As I begin to use the Grouptweet, I advise you to carefully read the explanations on the site. As you know, you can not use more than one Twitter account using a single browser. But now almost everyone has more than one Twitter account. With SplitTweet you can view your corporate account, personal account and fake accounts on a single page without using different browsers. For this purpose, you can manage more than one account from outside of your personal computer from applications like Tweetdeck from here. The Google search engine has a service called Alerts. If any of you have already made a call through Google, you will receive an email. For example, if you make the appropriate settings, you may receive emails when you search on Google for socialsocial. Twilert and TweetBeep are Google Alerts adapted to Twitter. If you are doing long-term research on a particular hashtag, or are wondering what tweets are of interest, these two services will continue to work for you. Twitter has millions of tweets per day. It can be important for you in the tweets that people you follow do not follow the tweets that you follow. I wanted to know about the films that went into the vision this week and I opened Monitter. I also searched 3 different movies. The result is below. I have a flow of information consisting of hundreds of different interpretations that are constantly being refreshed. Of course, when I saw so many comments, I decided to watch three movies, but it is still a useful application for you to follow different events at the same time. Many people spend most of their time on Twitter. It is quite natural that he wonders what he did during his time and detailed charts of his actions. There are various applications for this. Especially for corporate Twitter accounts, these applications are indispensable. Tweet.me.it is a system that shortens your URLs and gives you the statistics of the URLs you click through Twitter. 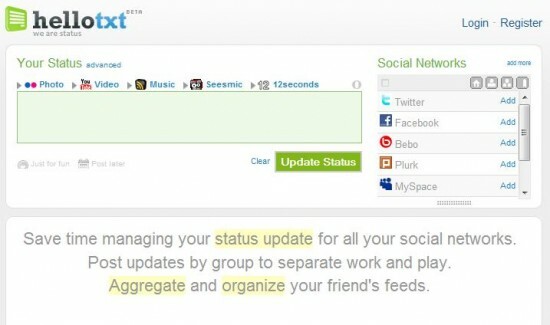 You will also be able to list the social media sites you use at the same time. TweetStats is a system that displays the statistics of your Twitter data with detailed graphs that do not require membership. 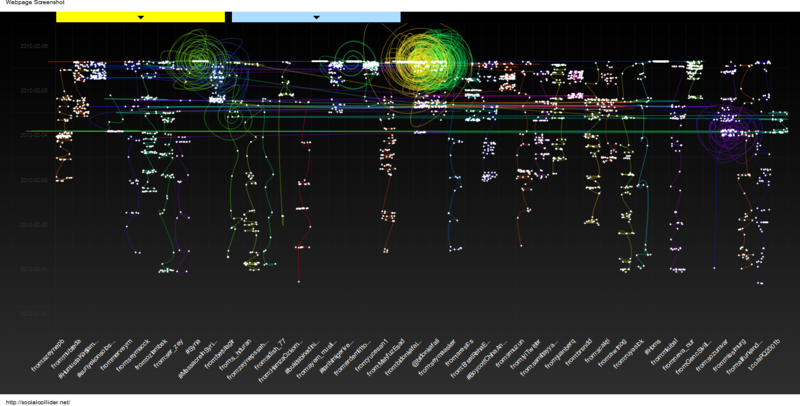 According to your monthly tweets, according to the times and days, according to the programs you use when tweeting, it shows you the most mentors with the most mention and the individual graphs according to the RT ones. The hashtags you use the most are shown in the form of a cloud, and the follower gives you an increase graph. It also offers general trends at the same time. It is a free (predictive) system that tells you how many followers you will arrive, giving you graphs of your tweet, following, and followers numbers. This guess is a bit of a spoiled moral. For example, I would reach 10,000 followers after 2000 days. It also shows you the order among all Twitter users. You will also be able to buy on the follower by paying $ 75 per month on this site. The Profile Checker feature shows you the shortcomings of your Twitter account. With the Milestones feature, you can send automatic alert tweets for you in special numbers like 10,000.Tweet or 25,000 followers. With the Username Alert feature, you can also set custom alerts for usernames. For example @SocialYou want a social name. After we have your system registered, we will send you a mail if we change our mind. 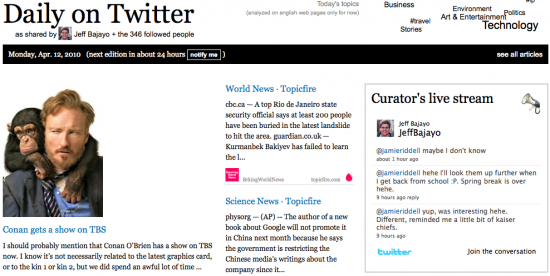 Finally, you can also create follow-up buttons that you can add to your site free of charge from TwitterCounter. 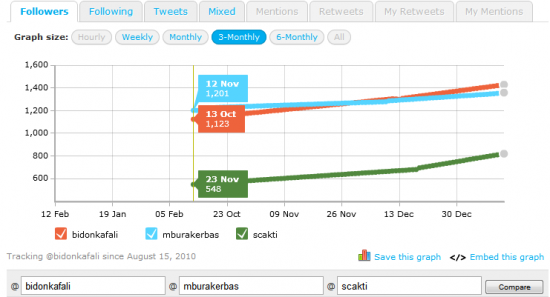 This system offers free metrics calculated by Twitalyzer with a special algorithm. Klout The Twitalyzer, which is also receiving data from systems that measure large social media such as YouTube, offers a wide variety of results. However, the fact that it offers many features at a premium still leads people to other systems. Does not the Twitter homepage come to you enough? Do you want your listings, your memos, your private messages in front of you? 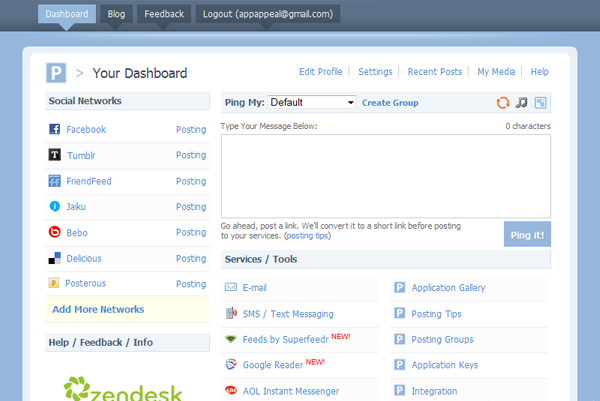 Do you want to manage your accounts in different social media sites in one place? I would therefore advise you to continue reading the article. You can view your own profile, your favorite tweets, your followers and followers, your followers, your RTs, your timed tweets, your feeds in the same window from the same window without having to look at the timeline, mentions and private messages in one window. Moreover, you can use it with more than one Twitter account. 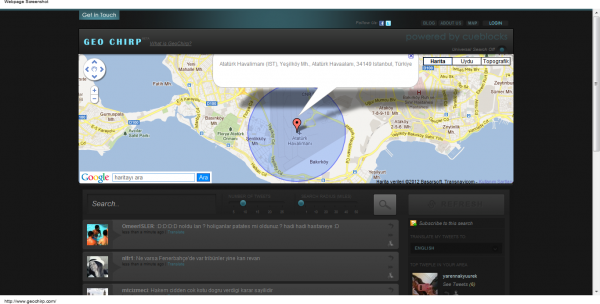 You can also compare two Twitter users, Foursquare updates, current events, and more. 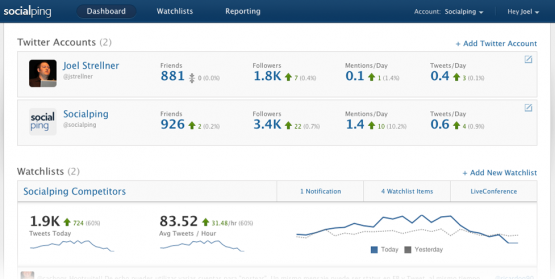 According to Tech Crunch, Tweetvisor is the best web-based solution. If you have dozens of social media subscribers, you can always update just a few. But if you want to take care of everything, Ping.fm is running your help. More than one Twitter account, Facebook account and page updates, My Space, Gtalk status, AIM status, Linkedin, Tumblr, Identi.ca, Friendfeed, Plurk, Blogger, WordPress, Flickr, Photobucket, Yahoo, Ning, Brightkite -, Jaiku, Plaxo You can update your account on the site such as Pulse, Bebo, Delicious, YouAre, Multiply, Yammer, StatusNet, TypePad, StreetMavens, MyYearbook, Tagged. Twitter is constantly changing the interface, but there are still a lot of missing. If you want to access all your Twitter stuff from one place, you should use itweet. The automatic page refresh feature will work for some of us when new tweets arrive. there is a separate section for you to add symbols like ✔ in particular. Online A site with artificial intelligence that works with the slogan of organizing your life. You can update much more and different sites at the same time than Ping.fm and save time. Moreover, you can view dozens of different social media sharing sites via HelloTxt. A site that brings to the fore the kind of sharing that will draw more interest from you after marking the content you like with artificial intelligence. 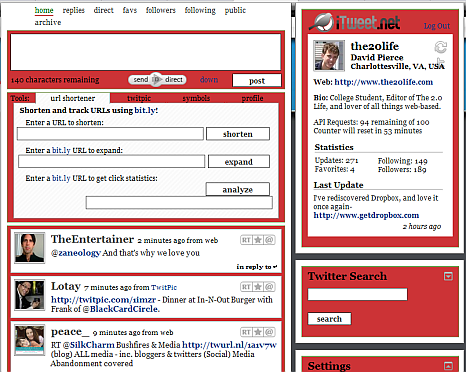 Twhirl is a desktop program just like TweetDeck. 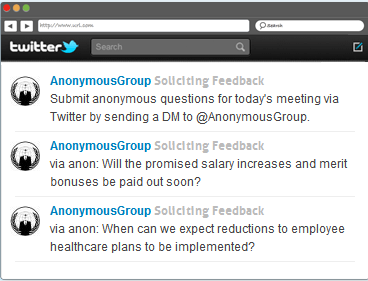 Micro-blogging sites can answer dmlere mention, ie Twitter, Identi.ca, Seesmic, Laconi.ca and Friendfeed can do the updates. When a new mention arrives, you can be notified with a nice notification at the bottom right. Like other social media sites, Twitter is not a site that can be used with the principle of "tomorrow will be a summer". Twitter is different from the others are able to transfer instant developments. Of course, what you need most is Twitter's Mobile Apps. 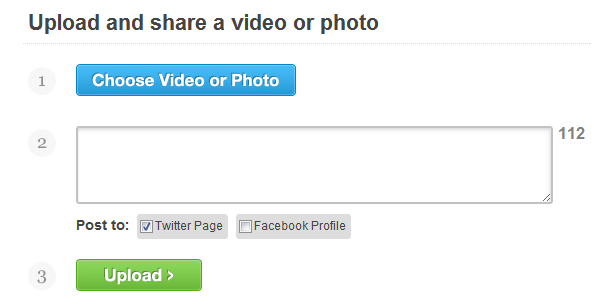 You can view and view previews of videos, photos, and links that are published on your Timeline without applying them. Trends, retweets, profiles, promos, etc. You can use the UberBar feature to foreground or drop the background. 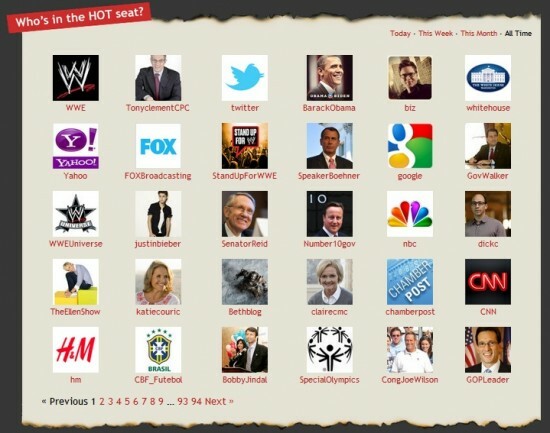 With the UberChannels feature, you can track celebrities and corporate pages under separate categories. 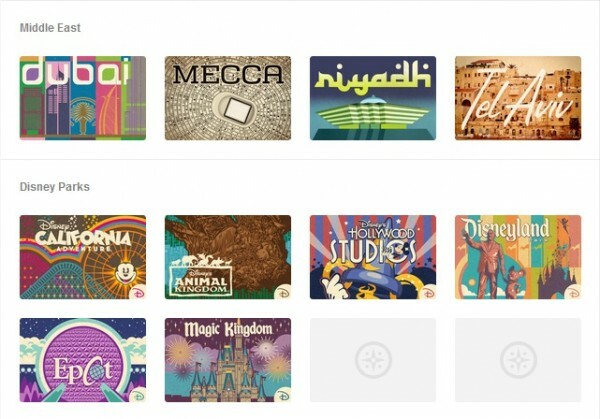 You can upload dozens of different themes to UberSocial. 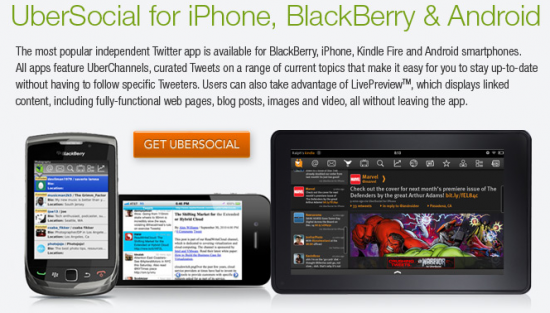 UberSocial for iPad, Mac and Windows Echofon application available. 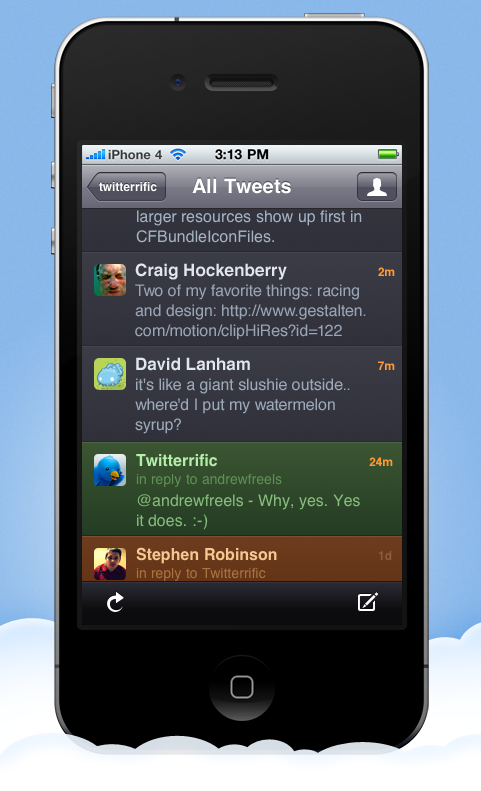 In addition, Twitbit's easy DM service called Chirpy from here You can download. Following Trends on Twitter It's interesting to be able to talk about a common topic that thousands of people talk about, although sometimes a lot of capitalists come. But in order to follow Trends more effectively, we may need some data that Twitter does not offer us. 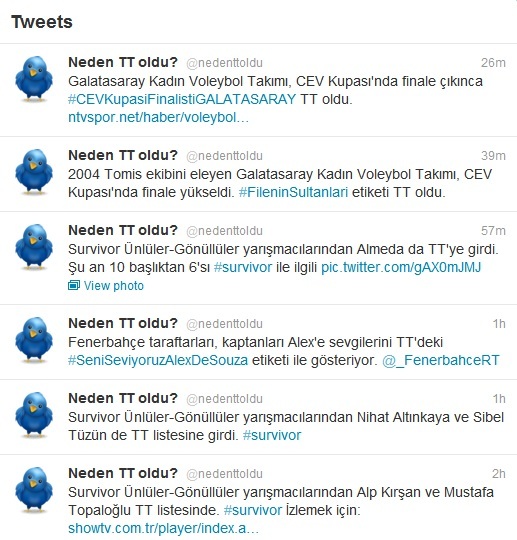 Most of the time when we see a new TT on Twitter, we ask why it is TT. In answer to this, WhyTo the service of the truck. FollowTheHashtag provides you with detailed information about a hashtag as it is obvious from its name. The info gives a nice graphic about when this hashtag starts to tweet and who is tweeting, who is tweeting the most. Here you can find people who think the same things as you and start following them. You can also see tweets on the same chart. 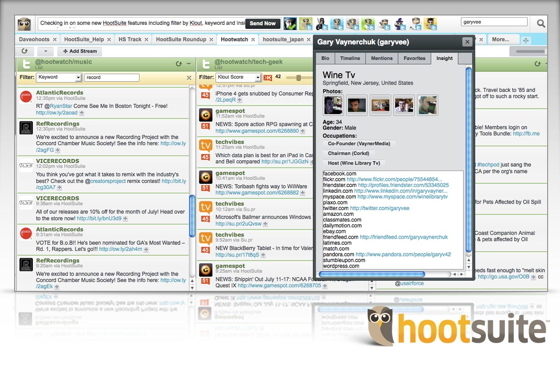 HootSuite is a system that the company has installed to monitor Trends. Istanbul, Ankara, Izmir and Turkey to TT that they are special reasons for these trends beyond the Trends page, tt are they who directs (direct mAktAymIş 378 people in Turkey) shows. The WWT's first release dates are also available from WhatTheTrend. What makes Twitter Twitter is actually Trendler. In the current version of Twitter, we can only see Shu Qi Trends. What we have not been able to get finished information while we are not on Twitter. 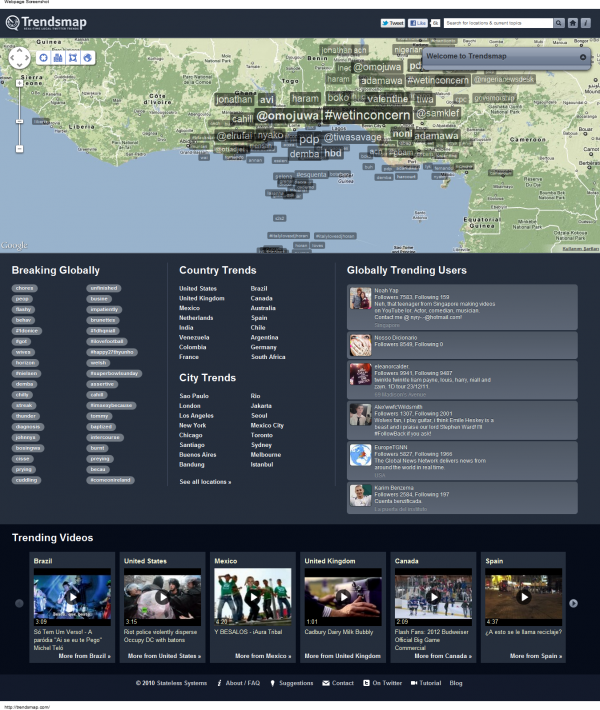 TopTwitterTrends shows us the trends in the city or country, as well as Trends in the past. There are 44593 different TTs in the records at the moment. You can see what is written about this 44593 TT except for the very old TTler. 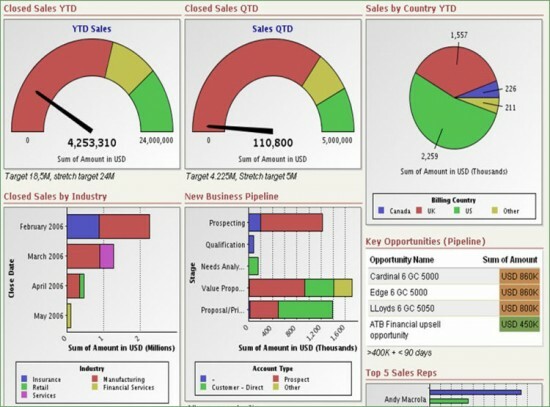 Salesforce is the biggest creation in this area, which follows companies' Social Media activity, provides detailed summary reports, and offers a variety of recommendations. Facebook applications print tool Heroto provide corporate internal communication chattersocial media tracking system Radian6and cloudfor by large systems such as. The system is as beautiful as the fees are high. Hootsuite is a platform where you can link multiple social media accounts such as Tweetdeck and manage all of them from a single location, and it also helps you define your strategy by presenting detailed statistics about the accounts you link to. We recommend that every Twitter user use the free version. With SocialPing, a different solution for corporate accounts, you can see graphs of follower / following increase graphs, tweet shot time and numbers. You can also use this monitoring system from your mobile phone. It offers dozens of services such as automatic tweet, real-time Twitter Stats, Facebook, Linkedin, twitter accounts management, timed update, link abbreviation. And it's free. We all have accounts in Social Media. We even look at Twitter on Facebook before our hosts. In fact, according to a survey conducted in the United States, the percentage of people who control Facebook when first waking up in the morning is 54% (among Facebook users). OK, but how active are we in social media? Friend count, follow-up count is the main factor that determines this? Not. There are dozens of different data to measure our effectiveness on social media, and there are dozens of different sites that calculate this data with various algorithms. I will tell you that I believe that you are only giving the most accurate information in the forefront. Not only does it tell you the day you entered Twitter, but it also shows those who sign up for Twitter the same day. For example, I signed up with Hugo Chavez the same day. Of course the main aim is to measure your effectiveness in Twitter. Your follower counts you in a percentile by gathering data such as your followers' followers, tweet count, tweet frequency, follow-up ratio, retweet and count. For example, I'm more active than 97% of Twitter users. Of course, I do not have to say that 5% is already an important part. An application you need to evaluate, even if I can not answer my needs very much, Twitter Grader. 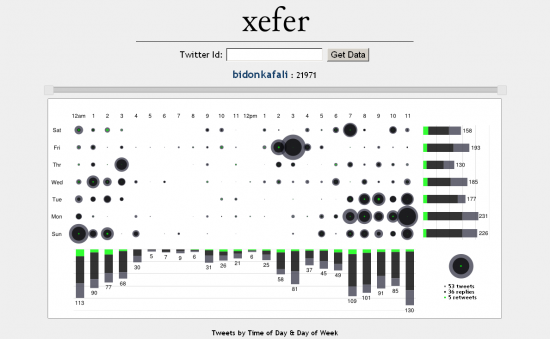 Xefer is an application that calculates your Twitter activity and gives you a weekly tweet graph. According to your activity in the last week it gives you a point. For example, mine is 21971. It also gives a breakdown of your mentions in the last week. In the meantime, SocialSocial is also 895 installations. Your activity in social media is Klouttur, the best measurement tool ever developed. Klout is a friend of mine, he does not look at those friends. Not just on Twitter but on your Facebook, Google Plus, Linkedin, Foursquare, Youtube, Instagram, Tumblr, Blogger, WordPress, Lastfm and Flickr also measures. It will also receive data from Quara, Yelp, Posterous, Livefire, Disqus, Bitly and Branchout sites in the near future. Klout gives you a score between 100 and 10. Even if you do not register with the system, you always receive your data on Twitter. 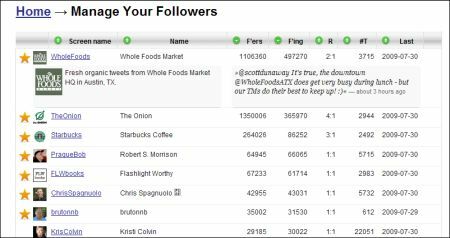 So all of you already have a Klout score. The Klout score is not something that can be reduced. In social media, employers are also looking at the Klout score. For example, rumors are circulating that someone who does not score 60 points can not find a job in the Silicon Valley. At the same time you can login to Klout on Facebook Page. In other words, you can also calculate the effectiveness of your corporate company in social media. Klout is not just a site for personal satisfaction. It enables you to turn your social media activity into business opportunities or various promotions. You can give your K + scores from various daily achievements and achievement scores to your friends' various headings so that they are in the foreground and that the companies under this heading show interest in those people. For example, you have curiosity about books and you open the title of Book. Your friends gave you plenty of K + under the Book title. A writer or publisher can also offer you a job offer for the promotion of your book, you can do it at a special discount. In short, Klout is a dynamic site full of surprises. Twitter is not just a website that allows you to spend your free time. Twitter is a platform where you can use your imagination well and give more than you can imagine. I'm going to talk about the subtleties of the "search" section. It is a free system that offers Linkedin and online CVs to employers who are looking for advertisements about your occupation on Twitter for you. 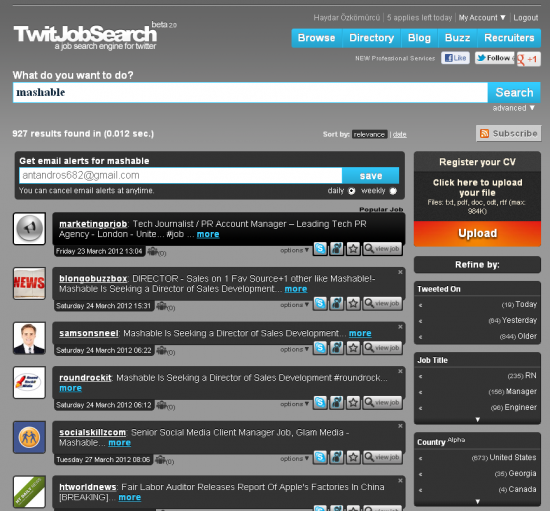 A versatile site where you can post new job postings, tweet alerts similar to Google Alerts. If you are looking for work you should try. Topsy is a social media search engine that allows you to search on Twitter and Google Plus in 8 different languages ​​outside of Turkish and English. You can receive the content of your search as RSS or you can receive emails on new content by setting up an alarm like Google Alerts. You will also only be able to search for links, photos, videos, tweets and experts on the topic you are looking for. With Twazzup, a real-time social media search engine, you can do a much more compact and wider search than Twitter Search. If you are looking for a person, you can find a variety of statistics such as the most influenced, the most RT edited tweets, the latest news on the internet, the latest reminders, recent hashtags and most used words. Individual for your Twazzup specific searches, which can also keep your call records. And of course Twitter has its own search engine. 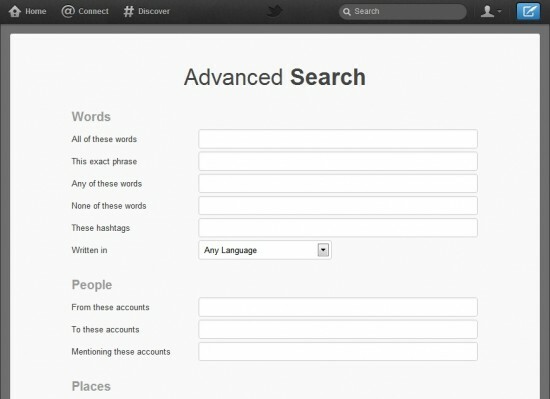 Most of us are searching in the search section at the top right, but there is also a detailed search section of Twitter. In this module, which is similar to Google's advanced search feature, according to the user who gave the tweet, according to the words it contains and the words it does not contain, it is possible to search for tweets with positive or negative questions. 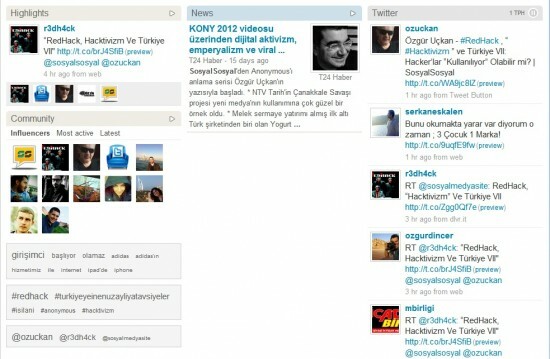 Thousands of Civil Society Organizations are actively involved in Twitter today. However, almost none of them take full advantage of social media blessings. Actly is a service that you can organize signature campaigns through Social Media and provide your voice to a wide audience. You can also add a signature to your Web site that you created in Act.ly. Moreover, the signatories do not have to be members of the site. Not to mention that you can add your wishes to videotapes. These campaigns can be very effective in getting what you want from the organization or individuals who have a Twitter account. for example http://act.ly/3f5 there are 8545 people in Barack Obama who want to release marijuana. unknown how much this service in Turkey do I leave you could dream of. There are more than 5,000 petitions in the system and nearly 600 of them are answered. 240,000 tweets were made about these wishes. Instead of coming up and creating temporary TTs, the petition you created with Act.ly will be considered more. If you want your Facebook and Twitter followers to give you full support, instead of having to change the entire profile photo, you can add a small logos of your logon or your logon to the bottom right. 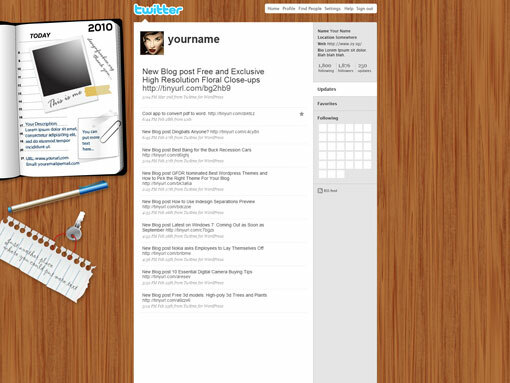 Twibbon is a service that automatically uploads your logon as a profile photo instead of uploading them individually. It is a system that every Civil Society Movement and every Political Party must examine in terms of prestige and campaign awareness. We are at a time when Facebook is condemned to announce the activities of NGOs. With Facebook, it is sometimes troublesome to be able to hear the activity because only friends can go to the friends. In Twestival, you can explain your activity, its goals, and so on. a special system where you can give information and announce your activity. It is a blessing for all NGOs to be able to make pre-payment through this site, especially for events organized to collect donations. It is a social media system where every NGO can open a page, publish its own page, and publish its activities. With PayPal, you can start campaigns with BroadCause, which can be collected on donation via the system, and you can hear your supportive voice through the Facebook Login system. You can also add photos about your campaign on this site, as well as comments from your supporters. Bide says people know how to use Twitter.